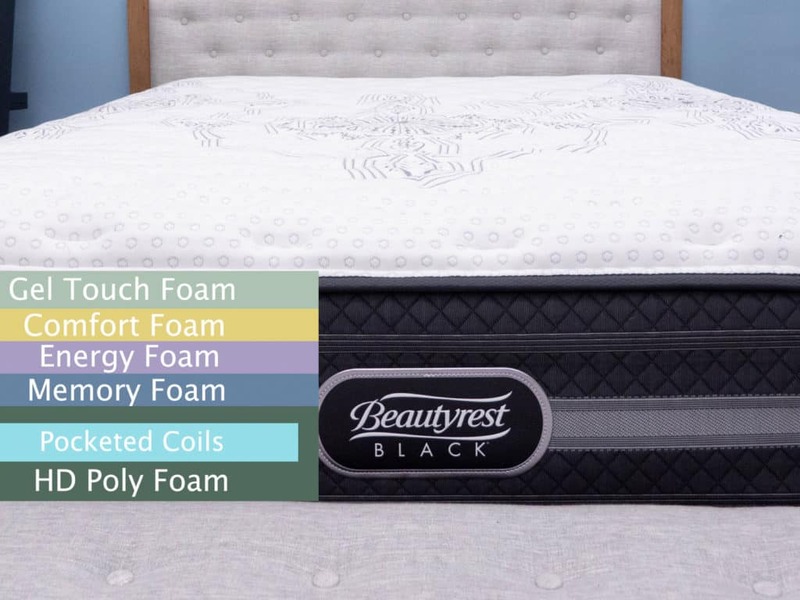 Beautyrest Black Mattress Review - Is The Calista The Mattress For You? 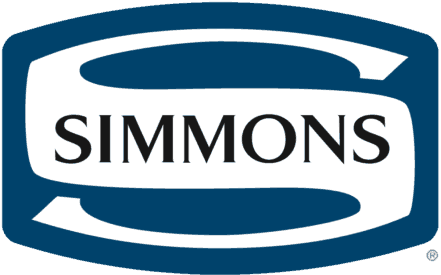 Beautyrest is the flagship brand of mattress giant Serta Simmons, which has been churning out popular mattresses stateside since the late 1800s. 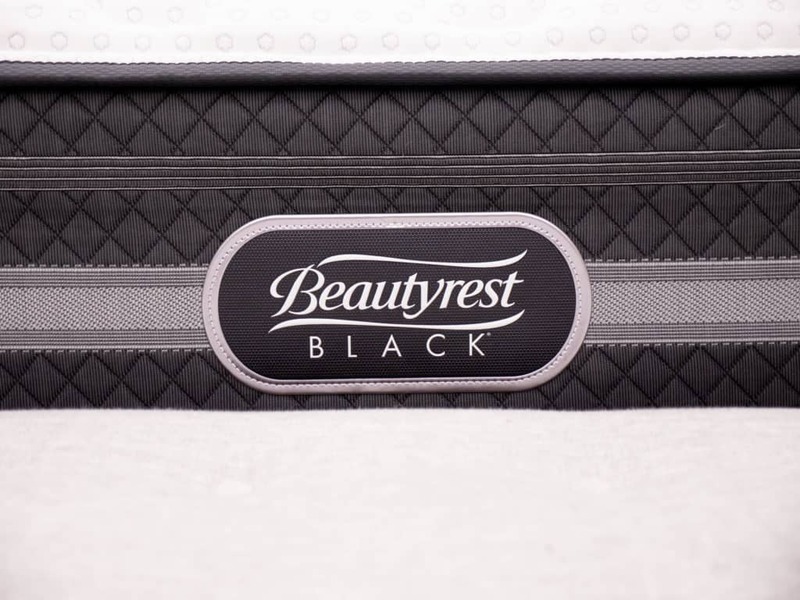 I’ve previously taken a look at the Beautyrest Platinum suite of mattresses, so am turning my eyes today on its sister line: Beautyrest Black. This collection features a few different beds, but I’m going to be focusing solely on the Calista Extra Firm for this review. Will it satisfy my needs? Will it give me all the right support in all the right places? Only time — and my series of rigorous tests — will tell! 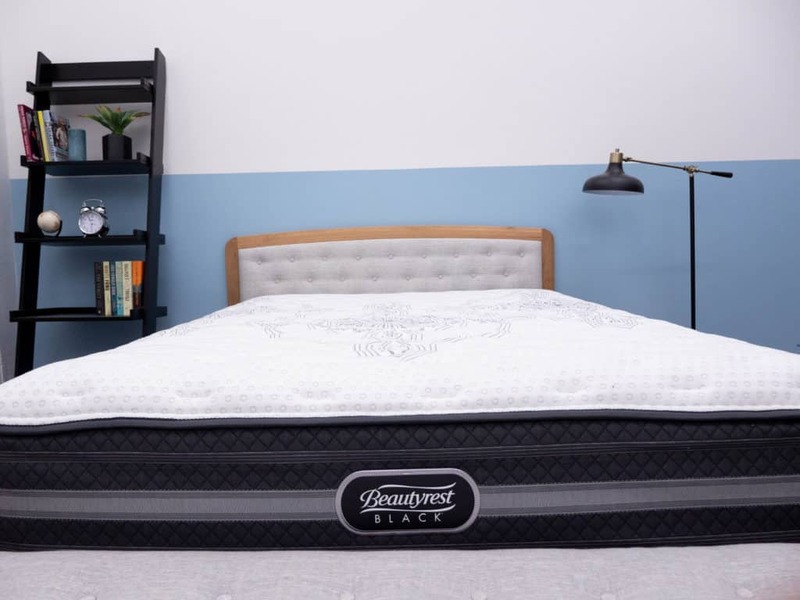 Continue reading below for my full review of the Beautyrest Black mattress. Don’t have time to read it all? Click here to skip to the bottom and check out my review summary. The Calista Extra firm features a 12.5” profile of mixed foam layers and pocketed coils. The combination of materials is intended to create a sleeping experience that’s both pressure-relieving and supportive, with enough bounce to keep the sleeper lifted on top of the structure. I should note that the Calista Extra Firm is just one of 17 total mattresses in the Beautyrest Black collection. Not only is it the firmest bed in the line, at $1,799 for a Queen, it’s also the least expensive, with the priciest model (the Luxury Firm Christabel) coming in at $3,499. But enough talk! Let’s dive on into this bed. Cover – The cover is made up of what the brand calls its SufaceCool Fiber, a material that has a soft polyester-like feel to it. It’s also quilted with a bit of foam, intended to provide the sleeper with some immediate comfort and pressure relief. Comfort Zone – Up top, you’ll find a thin section comprised of .75” of Gel Touch Foam and 1” of the brand’s Comfort Foam. This combination creates a gentle vibe, with the memory foam allowing for some satisfying body contouring and sinkage that’s extended downward by the slightly firmer comfort foam below it. Though memory foam has a bit of a reputation for overheating, the gel infusion helps to dissipate body heat and keep things cool. Transition Zone – The transition zone is also made up of two different types of foam: a 1” layer of buoyant Energy Foam and another .5” of memory foam. These materials help to gradually ease the sleeper into the firmer pocketed coils below, working to provide a little lift as well as some targeted pressure relief. Support Zone – And finally you’ll find the main support section of the Calista, composed of a pocketed coil system encased by a thick layer of high-density poly foam. These coils give the mattress a classic innerspring feel and help to position the sleeper on top of the bed. I should add that these coils are individually wrapped, which not only encourages airflow throughout the structure, but also aids in isolating motion. After taking a look at the construction of the Calista, let’s chat about the firmness and feel. 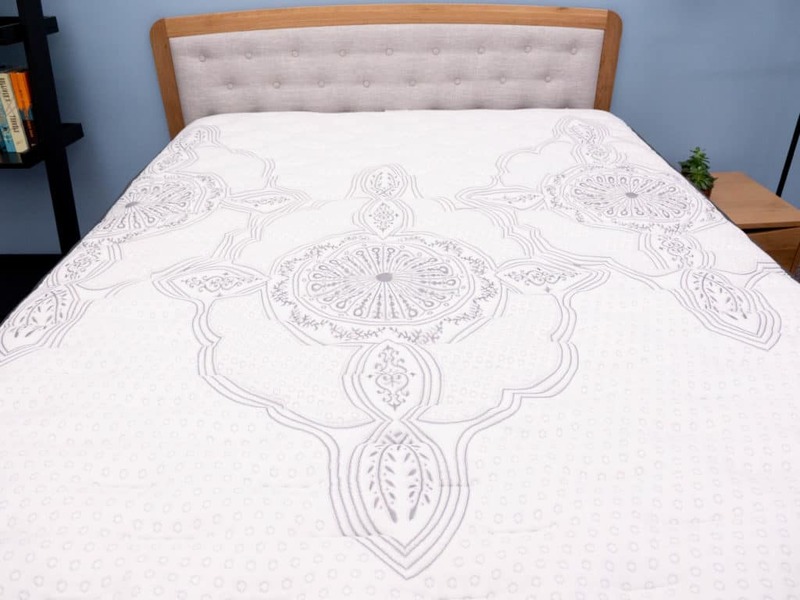 I started off by applying light hand pressure to the mattress and noticed that I was mostly interacting with the gentle foams up top, making for a soft feel. As I added more force, I encountered the transition zone and the pocketed coils, which resulted in a much firmer feel. It’s a fact that people with different body types, sizes, and shapes are going to feel firmness differently, so I decided to bring in three other testers to help me figure out just how firm this Beautyrest bed actually is. To do this, we each took a turn lying on the Calista Extra Firm, gave it a personal firmness rating, and then compiled them all on the graph below. 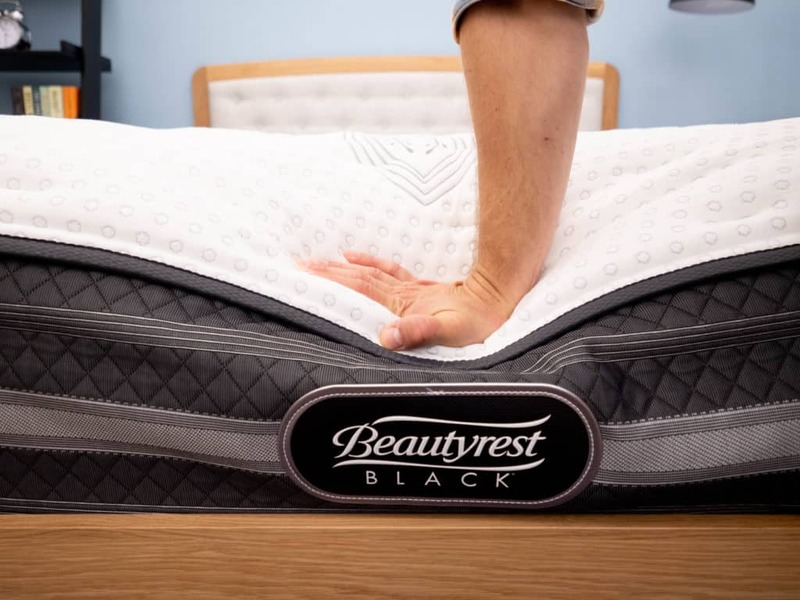 While feel is always going to be an individual thing, our responses should provide you with a good sense of the firmness range you can expect from this Beautyrest Black mattress. 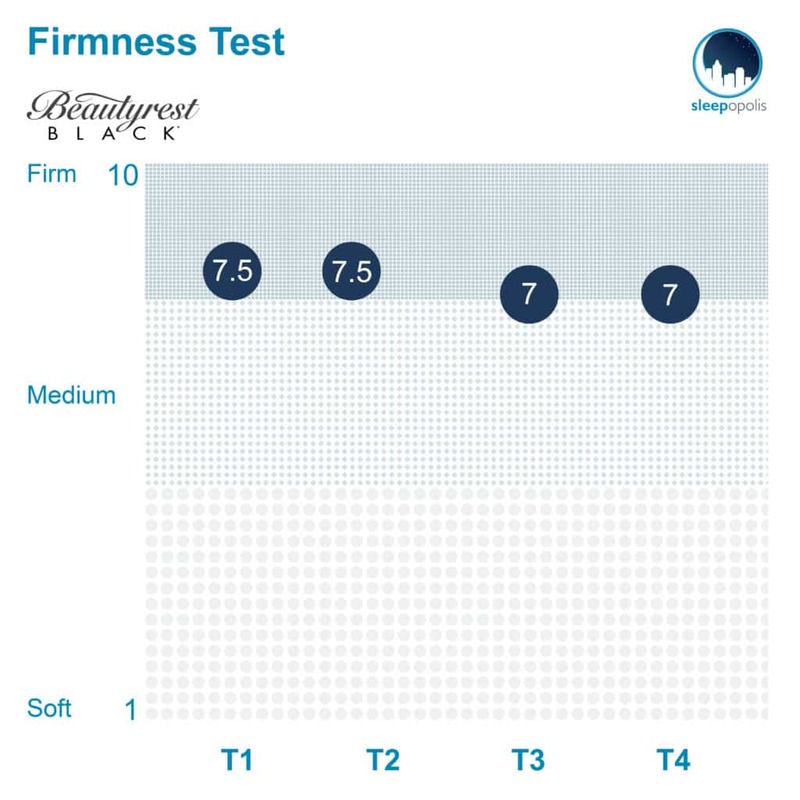 Showing the firmness ratings of the Beautyrest Black from four testers. Please note that plusher versions are available. We were all pretty much in agreement about the firmness of the Calista mattress, landing on an average rating of 7.3. When compared to the industry standard of 6.5 for medium firmness, it’s clear that this bed is just a touch above medium firm. I personally gave the bed a 7.5 as I found its pocketed coil system made for quite a firm structure. While you’ll likely experience some slight sinkage through the gentle foam top layers, there’s no denying that the tremendous bounce of the bed is going to keep you situated on top of the mattress. This feel will satisfy any sleeper in need of solid support, particularly those who sleep on their backs or stomachs. Keep in mind that if you like the sound of the Calista Extra Firm but need something softer, you can always check out the Plush version of the bed. Aside from firmness, another important component to consider in a new bed is pressure, or more specifically where pressure points are likely to form while lying on top of it. 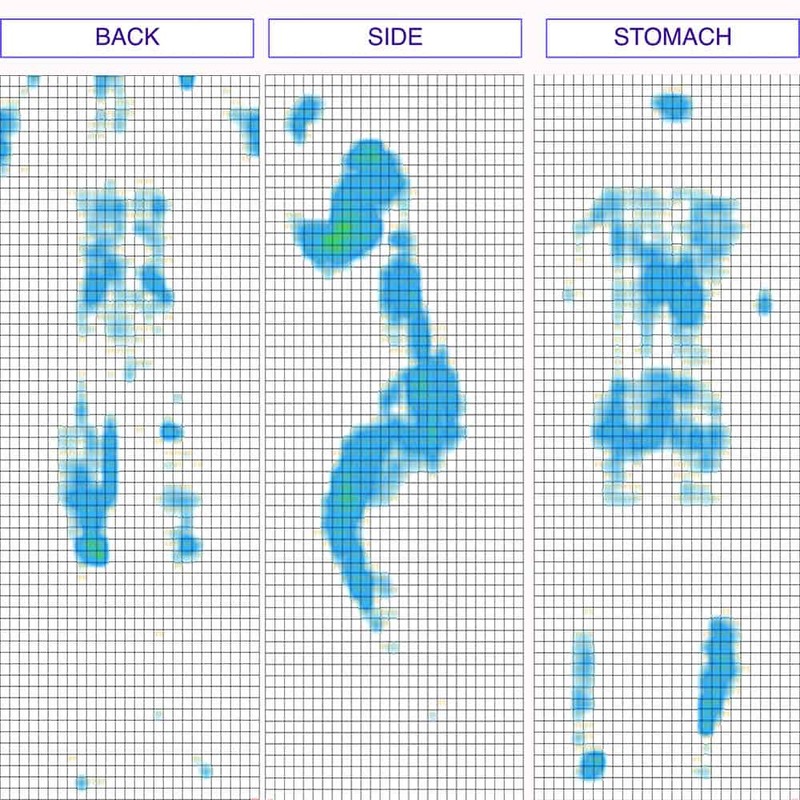 To help you visualize where these pesky tension spots might crop up, I placed a pressure map on top of the mattress and lied on my back, side, and stomach. You can see the results on the image below where pressure is represented from blue (low pressure) to red (high pressure). Back – Starting off on my back, I could feel the soft foams filling in the space at my lumbar region for some pretty satisfying pressure relief. However, even as I could feel the contouring from the memory foam top layers, I still felt as though I was positioned squarely on top of the Calista, which made it easy to change positions and move around. Edge Support – Scooting as close to the side of the bed as I could, I continued to feel solid support. 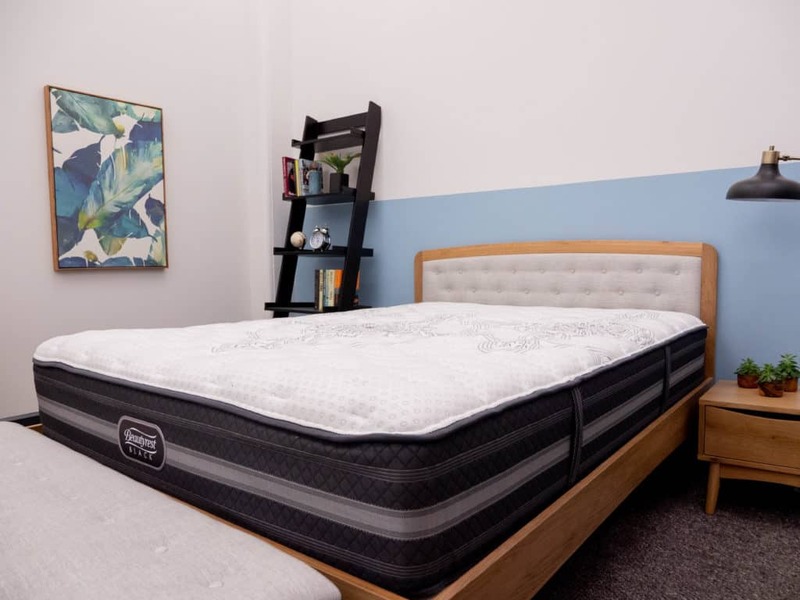 The 3” layer of high-density poly foam in the base of the mattress does an excellent job of bolstering the sleeper’s weight in this position, which means you’ll be able to use the entire surface area of the bed while you sleep. This could make it an especially good bed for couples. Side – Side sleepers tend to prefer softer mattresses that provide cushiony support to the shoulders and hips, so I did feel a bit of discomfort in this position. While the comfort zone does imbue the bed with some initial comfort, you’re likely to pretty quickly sink through to the firmer layers below. For this reason, I’d suggest strict side sleepers check out the Plush version of the Calista mattress. Stomach – While side sleepers usually opt soft, stomach sleepers generally go firm, which means the Calista Extra Firm is likely to appease those in the latter camp quite well. I say this because the firm support from the pocketed coils kept my hips lifted on top of the mattress and in a nice alignment with my shoulders. 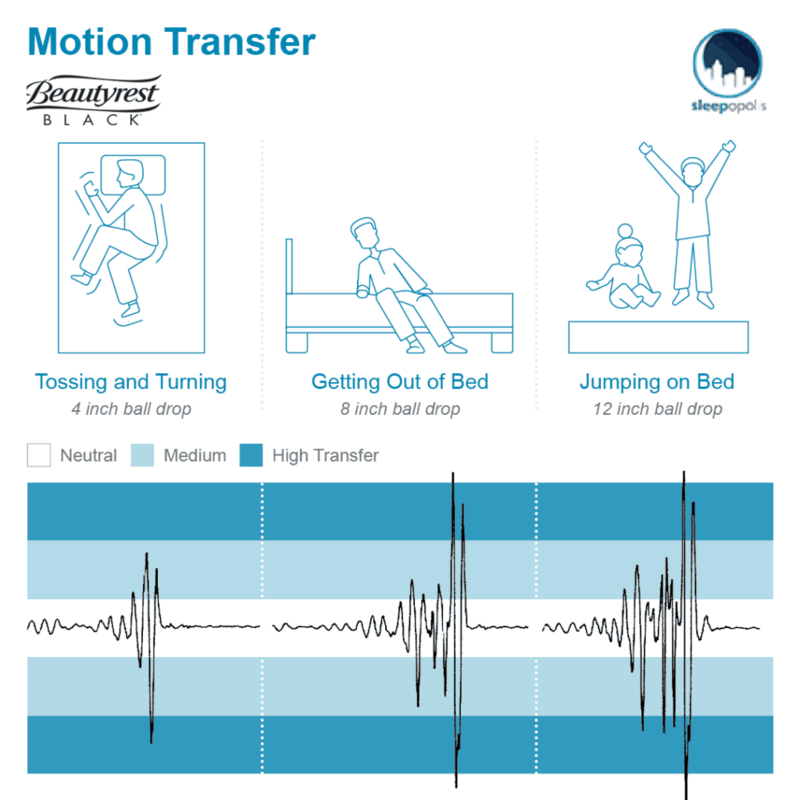 Next up, let’s take a look at this bed’s motion transfer, or the amount of disturbance that’s going to be detectable across the surface of the mattress. An important test for all sleepers, but especially for those who plan to sleep with a partner as it’ll let you know just how bothered you’ll be by their movements in the night. As I’ve mentioned throughout this review, the Calista Extra Firm has what I’d call a classic innerspring feel, meaning it’s bouncy and supportive. While this vibe comes with its benefits (buoyant lift, great mobility), one of the areas in which it doesn’t necessarily shine is motion transfer. This has to do with the fact that there’s not a thick enough layer of foam up top to absorb movement before it hits the pocketed coils, which instead of dissipating disturbance, actually cause it to ricochet throughout the structure. That being said, what the above results tell me is that you’re likely to feel your partner’s tossing and turning while sleeping on this Beautyrest Black bed. 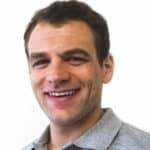 If this is a major deal breaker for you, I’d suggest taking a look at an all-foam bed featuring a top layer of memory foam, a design that typically offers up fantastic motion transfer. And finally, let’s take a look at sinkage. When most folks are thinking about buying a new bed, they’ll want to know whether they’ll feel like they’re sinking “into” the mattress or lying “on top” of it. To give you a sense of what this’ll look like with the Calista Extra Firm, I placed four balls of varying sizes and densities (a 6 lb medicine ball, a 10 lb steel ball, a 50 lb medicine ball, and a 100 lb medicine ball) on the mattress and measured how much they compressed the surface. While you’ll probably experience some initial sinkage into the Calista, this is all but mitigated by the buoyant pocketed coil system in the bed’s foundation. What this means is that you’re likely to feel as though you’re positioned on top of the bed as opposed to in it. If you’re convinced the Calista Extra Firm is the right mattress for you, the size and pricing information for the mattress are below. Please note that these prices reflect standard pricing. 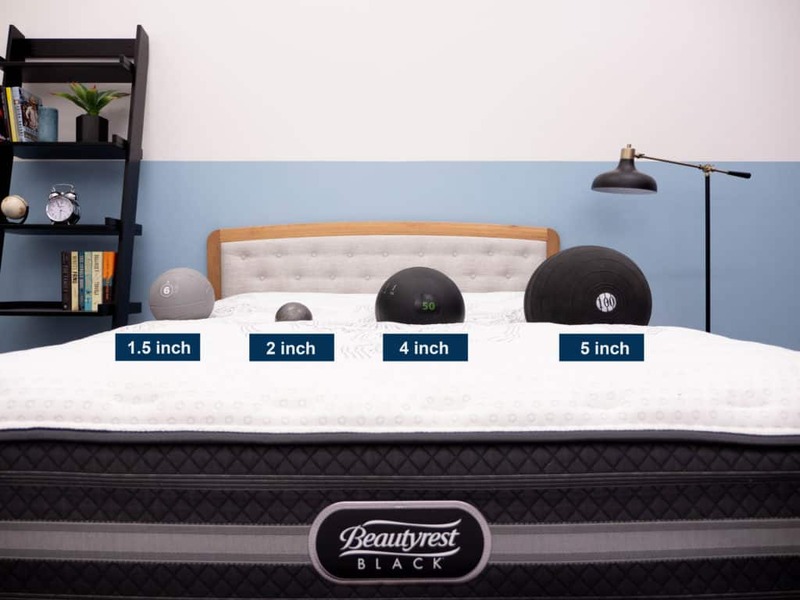 IS THE BEAUTYREST BLACK MATTRESS RIGHT FOR YOU? One of my favorite things about this mattress is its bounce, which could be great for sleepers looking for some buoyant support. Going along with this bouncy vibe, another thing I like about the Calista is its innerspring feel, a standout feature for those after a more traditional vibe. And finally, this bed features fantastic mobility, so could be a nice pick for combo and stomach sleepers. Considering how firm this mattress is, it may not be ideal for side sleepers, who might want to check out the Plush version of the Calista. Another detractor is the bed’s high motion transfer, which means there’s going to be a significant amount of disturbance detectable from one side of the structure to the other. Get your new Beautyrest Black over at Sears!